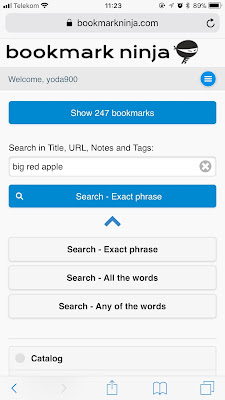 Until now, when you ran a search on the My Bookmarks page, the default and only search mode was "Exact phrase". 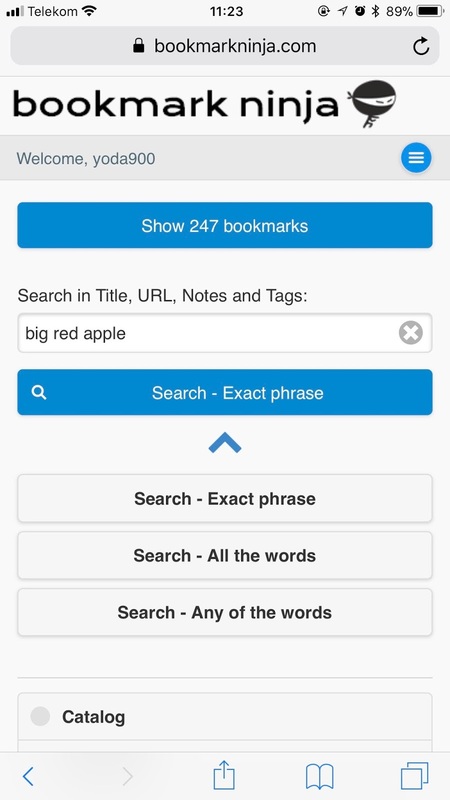 The default search mode still remains "Exact phrase". 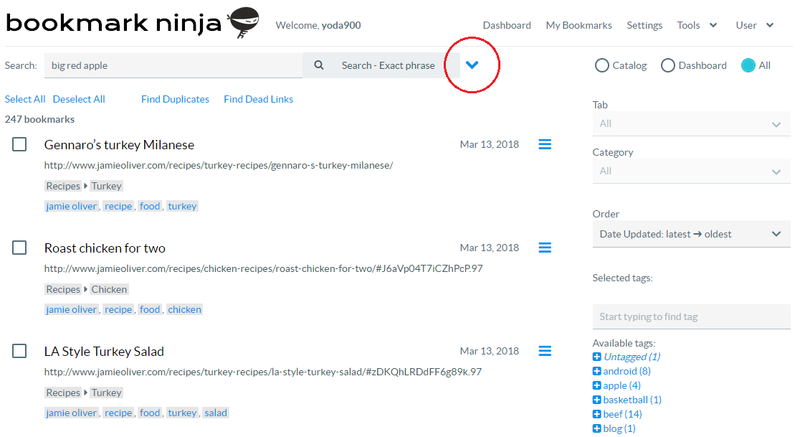 To run a search with any of the search modes on the My Bookmarks page, click on the blue down arrow next to the search field then select the desired search mode. 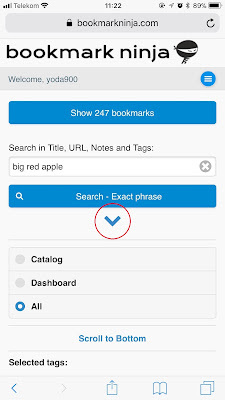 When you run a search, the URL, the title, the tags and the notes of the bookmarks are all searched. 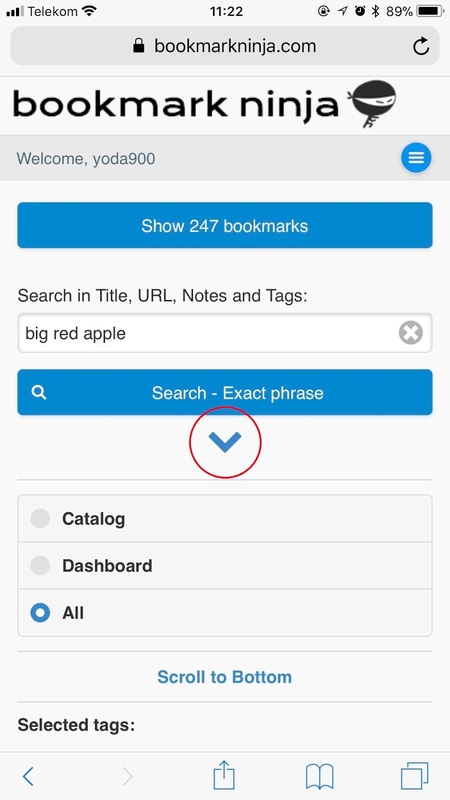 When you run a quick search from the Dashboard, the "Exact phrase" search mode is used.